Apple’s upcoming 6.5-inch iPhone could be called the “iPhone Xs Max” according to information shared by both BGR and 9to5Mac citing sources with knowledge of Apple’s marketing plans. Naming for Apple’s 2018 iPhone lineup has been unclear and Apple is said to have struggled to decide on a new naming scheme to follow the iPhone X, iPhone 8, and iPhone 8 Plus. 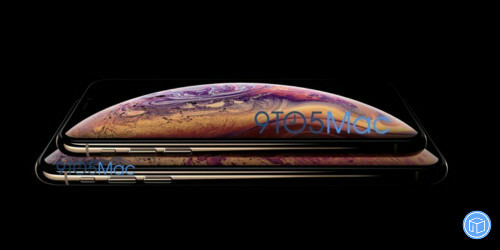 Last week, leaked information suggested Apple has settled on “iPhone Xs” as the name for the 5.8 and 6.5-inch OLED devices that are in the works. At the time, it was believed both could use the same “iPhone Xs” name like the iPad Pro, but now it looks like the larger model could continue to feature a unique name. Apple is not planning to use the same “Plus” labeling that it has used since the iPhone 6 Plus was introduced, and “Max” could potentially be the replacement. “iPhone Xs Plus” is a mouthful and difficult to say, but “iPhone Xs Max” is easier to pronounce. The 6.5-inch iPhone Xs Max will be sold alongside the 5.8-inch iPhone Xs and the 6.1-inch iPhone, which we don’t yet know the name of. In other related news, German site Macerkopf has shared details on potential European pricing for the 2018 lineup. Citing a pair of unnamed sources, the site says that the 6.1-inch LCD iPhone could cost 799 euros, the 5.8-inch iPhone Xs could cost 909 euros, and the iPhone Xs Max could cost 1149 euros. These are the same prices Apple currently charges for the iPhone 8, iPhone 8 Plus, and iPhone X, and would translate to pricing of $699, $799, and $999 in the United States. That’s mostly in line with rumors we’ve heard about U.S. pricing, which have pegged the cost at $600 to $700 for the 6.1-inch iPhone, $800 to $900 for the iPhone Xs, and $900 to $1,000 for the iPhone Xs Max. With Apple’s event set to take place in one week on Wednesday, September 12, we don’t have long to wait to find out Apple’s exact naming and pricing plans for the three devices. The new iPhones will be unveiled at an event set to take place at 10:00 a.m. Pacific Time at the Steve Jobs Theater on the Apple Park campus. Apple plans to live stream the event.